What is a ‘night flight’? Night is defined as 11.00 pm until 7.00 am. This is the standard definition of night time as used throughout the aviation industry globally, nationally and locally. 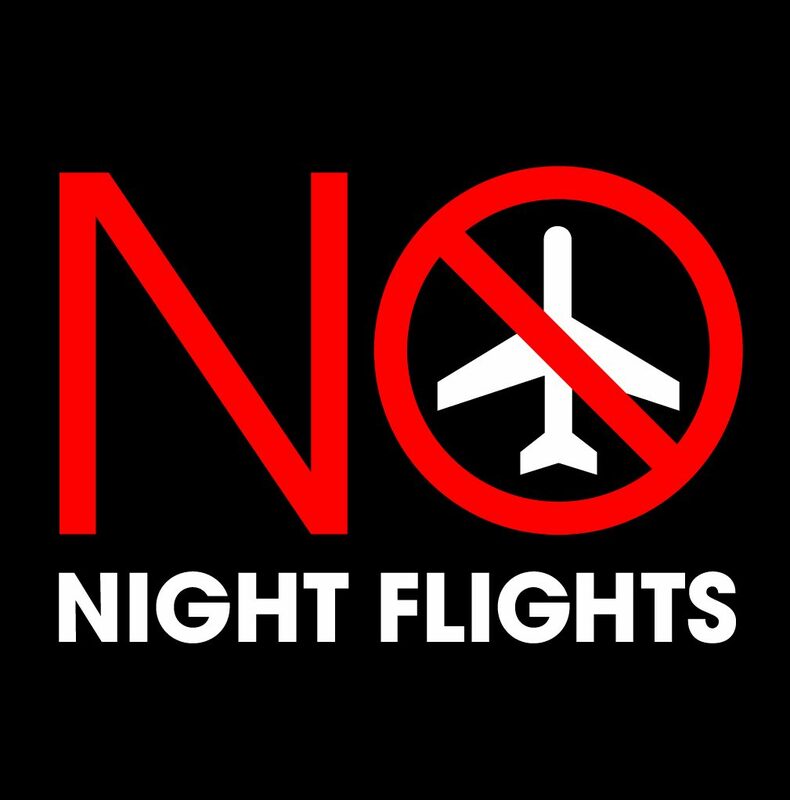 The World Health Organisation (WHO) recommends an 8 hour curfew every night when planes do not fly as this protects around 50% of the population. You’d need a period of 10 hours to protect 80%. Some airports try to define night as 11.30 pm until 6.00 am, however, in contravention of these recommendations and from 6.00 am to 7.00 am can be the busiest times for airports. Some flights are at night simply by being delayed. This is an unscheduled night flight which is quite different from flights that are scheduled throughout the night. If sleep is regularly disturbed for any reason, it has an effect on people’s health. There is some, but “limited”, evidence that noise at night can cause heart problems, depression and other mental illness. Children, including babies, because they spend longer in bed, are “considered a risk group” even though they usually sleep through noise better than adults. Even if people don’t wake up, there is “sufficient evidence” to show that noise increases people’s heart-rate, exactly the same finding as the HYENA Report.People whose sleep is regularly disturbed take more medicines. Since older people, pregnant woman and ill people find sleeping more difficult, they are particularly vulnerable to being disturbed by night noise. The WHO guidelines for night noise suggest a staged approach to the reduction of night time noise. an interim target where outdoor noise averaged out over an eight hour night should be no higher than 55 decibels (what is called 55 Lnight). leading to a final target where the average outdoor noise should be no higher than 40 decibels (40 Lnight). Our results indicate excess risks of hypertension related to long-term noise exposure, primarily for night-time aircraft noise and daily average road traffic noise. Next postWhat is the position now?